A quality rug can transform your room, helping to bring all the elements together and often creating a focal point that’s a great conversation-starter when guests visit. With our 160 x 230cm rugs, you’ll find a variety of gorgeous colours and patterns made with top quality fabrics. We have luxurious silk rugs that add a plush touch to your room, as well as wool rugs that will be a treat for your feet. The shape of these rugs makes them ideal underneath your coffee table. Or you can place them in an open space to creating zoning, such as beside your armchair and your bookshelves. 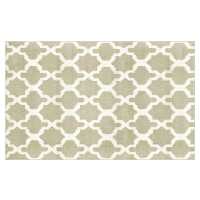 Rugs often receive a lot of high traffic, which makes it essential you invest in a high quality piece if you want it to last any length of time. 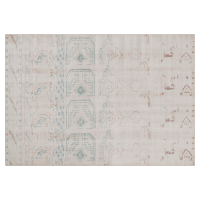 Our rugs are designed and made by expert craftspeople in regions of the world where rug-making has been a local art for centuries - such as India. Peruse our collection of 160 x 230cm rugs online today to invest in a superior decor item for your room.